The first time I was ever exposed to the Surly Long Haul Trucker was through one of my best friends Aaron Green. He, with one of our other close friends rode one of these across the country in 2008. Upon their return, I was able to take a closer look at his bicycle. At that moment, it became the bicycle of my dreams. The LHT is a no frills bike built for the purpose of moving anything you can mount on it. This bicycle is so beefy. 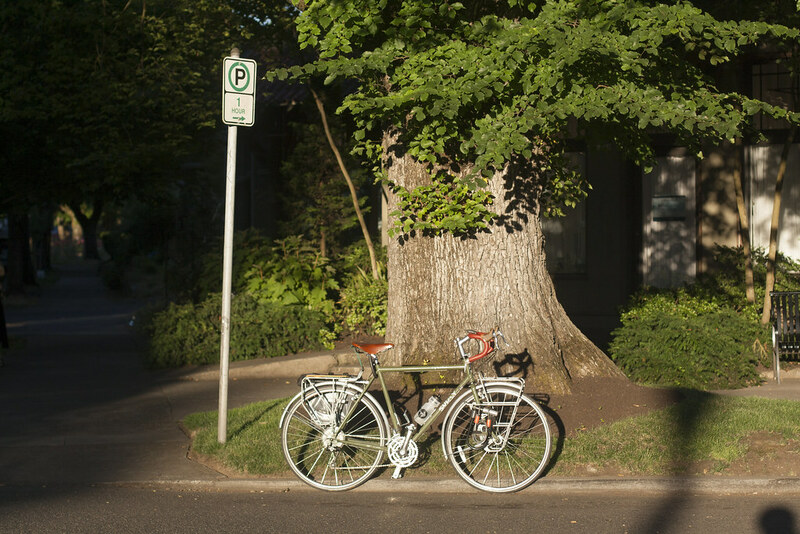 The chromoly steel frame and fork make for a really comfortable ride. I've ridden into really bumpy asphalt, potholes, gravel, and the bike takes it without any problems. The rims and tires help a lot with that too. I feel at times that I can just ride over most anything without having to worry. 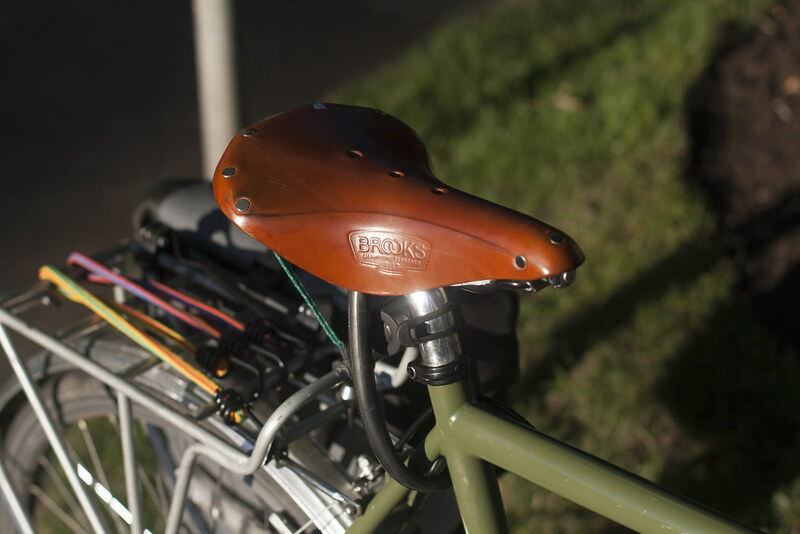 The Brooks B17 Saddle... After purchasing the bike, the first modification I made to it was to buy this saddle. A few days later, I dropped by the West End Bike shop and asked if they had any extra chains and inner tubes lying around. One of the guys said yes and helped me rig the chain to the bottom of the saddle. The Long Haul Trucker is a truly solid bike. You can mount almost anything to it, the clearance for panniers is really great. Its the kind of bike you could ride across the United States, or just ride down the street to get groceries with. Its paint job is powder coated, doesn't chip, it takes some effort to even actually scratch the frame. Makes for a great touring and commuting bicycle. There's really not that much to say about what this bicycle isn't lacking. The chainstay clearance and wheel base proportion does make turns a little on the wide side, however this doesn't mean that this bike isn't nimble, I've made some ridiculous turns on this. Its a bit on the heavy side... this bike does hold a lot of stuff... a lot. Speaking of heavy, I believe this bike is about 40lbs, maybe less. I have to carry this bicycle up and down three flights of stairs everytime I choose to ride it, and its totally worth it. Surly makes great bicycles. Their brand speaks into every bicycle they produce. Surly owners tend to have a nod in passing to other Surly owners. I like to call this the "Surly Nod." Its akin to the nod a bearded man gives to another bearded man. On the road, this bicycle demands respect. Everyday, I get on this bike, it gets respect. I find myself looking for reasons to ride bike. Every time I ride this bike, I'm thankful.